I'm a little obsessed with co-ords at the moment and can't seem to stop buying them so naturally couldn't resist this little palm tree printed beaut. I found it online at Boohoo just before I went away and at only £20 for the set I had to snap it up...It's available in cobalt blue too. 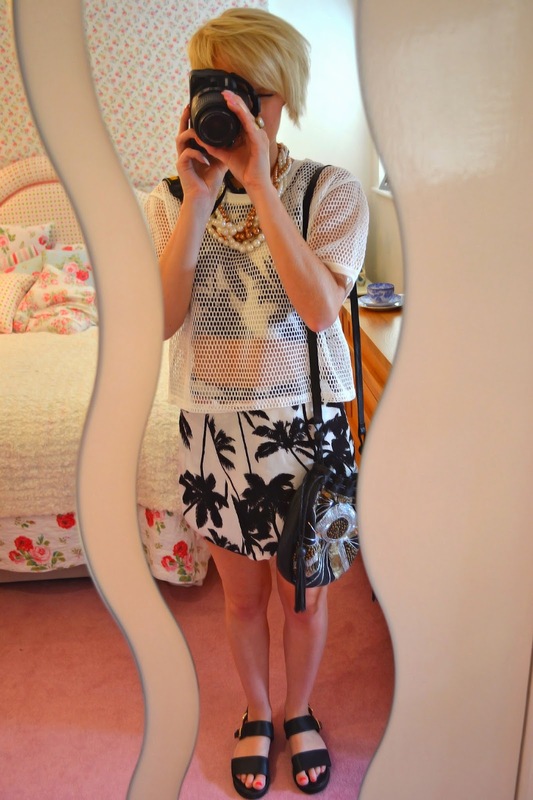 I also have a weakness for a bit of layering and this white mesh top from Pretty Little Thing worked perfect, it was also in the sale at £16 which was even better. 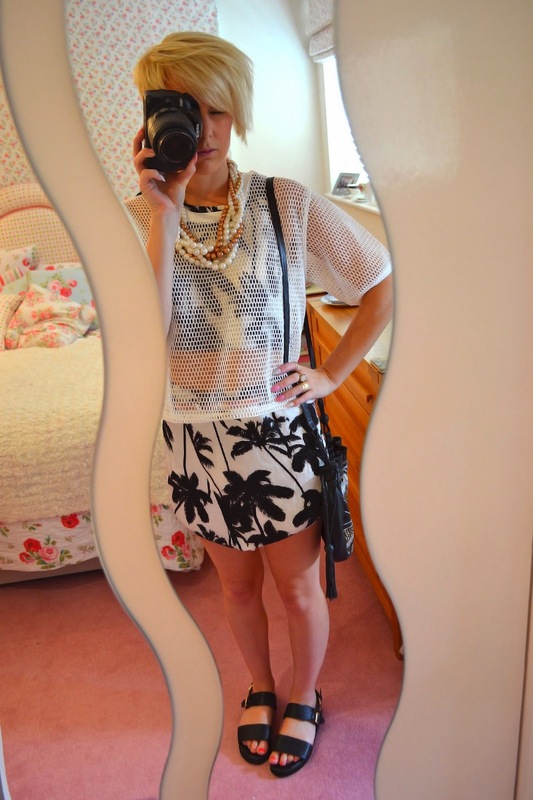 The necklace is one of my faves from H+M and the sandals are from Primark. The bag is a golden oldie from Warehouse which I've actually had for years but it's such a timeless style and I love the boho-chic feel.